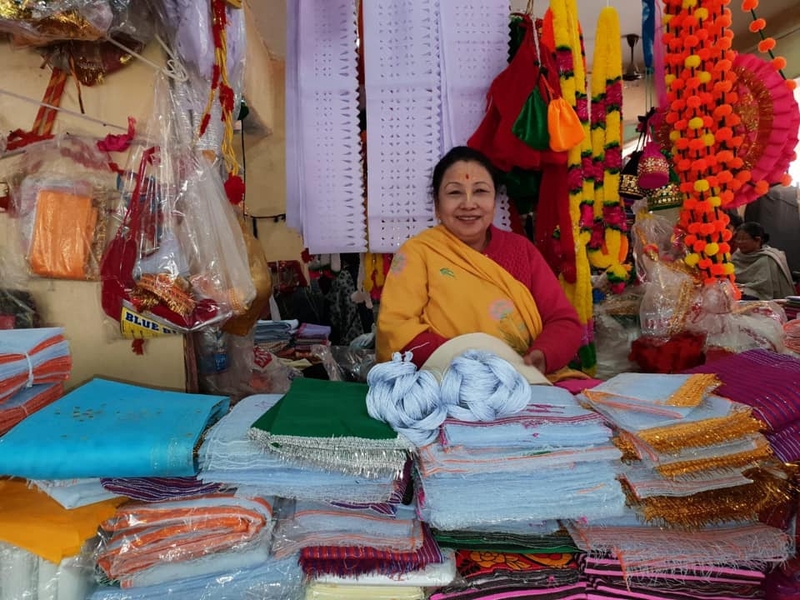 Located in the capital city of Manipur, Imphal, Ima Keithel is a more than 500-year-old daily market that is run and managed entirely by 5,000 women, making it the largest all women’s market in Asia. Literally translating to ‘Mother’s Market’, the market started in the 16th century with a handful of stalls run by women. Today, it is the heart of all commercial and socio-economic activities in Imphal that not only satisfies the needs of the women who sell or buy, it also boosts the local economy. In the 16th century, a labor system in Manipur forced all male members of the Meitie community to work in other countries or fight wars, leaving the women behind in the villages. To support their household, the women took the responsibility in their own hands – cultivated their paddy fields, weaved textiles and created products that they sold in improvised markets. This led to the birth of Ima Keithel. Over the years, it grew exponentially into a bustling market of thousands of female traders selling everything from household items to handicrafts and textiles. Ima Keithel was a major source of sustenance for the households in the villages. Besides, it was one of the primary markets that helped stimulate the local economy. In the 19th century, the market suffered from the stringent economic and political reforms enforced by British rulers. This adversely affected the market and socio-economic fabric of the state at large. Eventually, these stringent reforms led to a revolt by women against the unjust economic policies. Mass meetings, protests and rallies were organized to press for change. The British did not like this revolt and in an attempt to crush the agitation, they tried disposing of the market’s buildings to foreigners and external buyers. But the women traders thwarted these attempts successfully. This social movement died down during World War II when Manipur was transformed into a war-zone. But the pro-active role played by women left an indelible mark in society. It became a unique symbol of gender equality and women empowerment. Post India’s independence, the market revived completely and subsequently reignited the socio-economic engine of the state. The women traders in the market stay up-to-date with current affairs and the latest happenings in the state. The market is managed by a union of women. Only married women are allowed to trade and run the stands here, and this tradition is passed on from one generation to another. One of the services of the union is a credit system; women traders can borrow money from union for the purchase of goods. This system helps in the smooth functioning of the market. Recently, a Women on Wings team visited the market and spoke with many of the women traders. They shared that today, despite the market’s immense contribution to the grassroots economy of the state, it still faces challenges. But all this hasn’t deterred the spirit and liveliness of this culturally and historically significant market in India, which continues to provide a unique experience.